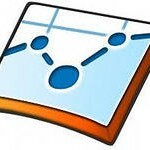 Google Analytics is freeware application which gives a detailed statistics related to visitors on a specific website. It’s a great feature in analyzing how effective your website is for your advertising campaign. Many of the top – rated organizations use Google analytics to determine their web performance. Google Analytics keeps a track of all viewers on the website from sources such as referrals, search engines, adds on the net, pay – per – click networks, email messages and other digital files such a slinks in Word or PDF files. The software package is also integrated with Google AdWords. It can easily be determined which advertisements are effective in prompting the organization and which are not attracting clients. Google Analytics allows users to review online marketing campaigns by through specific metrics such as landing pages or conversions rates. There is also a goals feature for tracking progress on sales and leads. 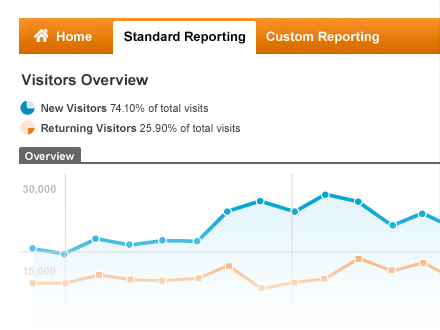 Google Analytics has some metrics, which if followed aid in improving the website. Monitor factors like conversion rates, number of backlinks, and the level of engagement your visitors have. This also helps you in acquiring a higher place on search engines results pages. Conversion rate is the ratio of viewers who perform an action on the site to the total number of visits. The actions can be anything such as commenting on a post, liking an article or even purchasing a product. This ratio is a very important metric because it helps determine how many people actually liked the content among all the visitors. 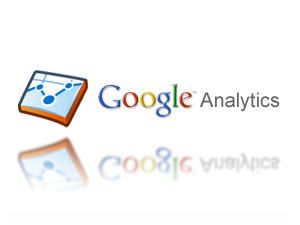 Google analytics can easily track all the actions. This metric displays the total no of visitors to the site. Not only this, it can even tell the number of users which are returning and those which are new. The numbers can be somewhat higher because search engine bots are also counted. This can be remedied by filtering out visits which just spent two or three seconds on the website. You should then be able to see the actual number of visitors. ‘Page views’ determines your server load. It is good only for your IT and networking department. If the load on your server is high, your users will experience slow browsing. This is disliked by everyone, and they don’t bother returning. Bounce rate is the count of users which do visit the site but leave it as well without further navigation. This count should be as low as possible. A high rate indicates that users don’t like what they view on the homepage and are not interested in progressing further. Determine all the pages with a high bounce rate. Analyze the format, design and content of those pages and try figuring out the unimpressive parts. Use this information and edit the pages accordingly. The time on site displays the total time spent by visitors on your website. The greater the time, the more likable your website is. If the visitors are spending just a few seconds, then they wither don’t like the content or it is irrelevant to them. The irrelevancy part can be figured out by monitoring the bounce rate, but if it’s the other reason, then you need to put in more efforts in improving your site. Monitor Page Depth along with Time on Site. Page Depth determines the average number of pages viewed by a visitor to your site. Traffic source is very important metrics. This helps you in analyzing the amount your efforts on SEO and link building are paying off. Your targeted keywords must be relevant to the landing pages. Monitor the bounce rate on these pages as well to get a deeper insight. This metric determines the locality of all users on the site. If your product or service is limited to a few places, then the value for those regions should be much higher than the average value. Landing Page displays the pages which are visited whenever an advertisement or link to your site is clicked. Singly, only the top few pages are shown. The benefit of this measure is seen when used with other metrics such as keyword, location and source. This allows you to determine if these pages contribute to a good user experience on the site. You can figure out if the web traffic is from within the same geographical region or a different one. Also make sure the keywords used are relevant to the page content. If there is lack or relevancy, the bounce rate will be high. In – Page Analytics gives a visual representation on the performance of the page. It shows information such as the links which are frequently clicked, the visitors which bounced back, and how users landed on that page in an easy – to – decipher manner. In other words, it determines if your page layout works in attracting visitors to the company so it serves as a highly useful analysis of web performance. The AdWords metrics allow users to identify which online advertisements are contributing to creating an awareness of their products and services. adClicks displays the number of users which have clicked on advertisements to access the website. adCost calculates the total cost from all your ads. adCPC measures the ratio of cost to the advertiser. CTR metrics displays the thorough rate for all advertisements. It helps in deterring the positions of the ads which are clicked most by viewers. If your website has an online store where customers can add items to cart and purchase products through credit or debit cards, then monitoring these metrics is extremely helpful. The names are pretty self – explanatory but are still reviewed here. Transactions display the total transactions on your site. Transaction Revenue provides the total cost of all items. Shipping calculates the total shipment cost. Quantity measures the number of items bought by users. Even though Google Analytics has plenty of metrics to measure web performance, there are also options to create a user – defined metric for analyzing any factor of your choice.